If you’re getting married in Thailand, there is generally no need to worry about the weather ruining your wedding day if you plan your dates well. Even if there is a shower, a little light rain can actually make your celebrations all the more special. 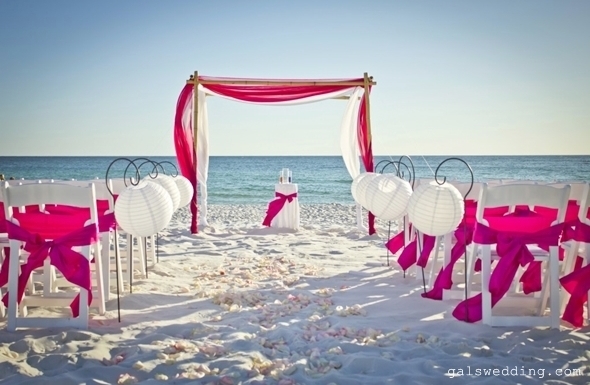 For many people, Thailand’s tear round tropical climate and blissful sun, sand and sea holidays are also the main attractions when it comes to planning a wedding ceremony. After all, if the weather in your home country can be a little unpredictable, hosting your wedding in sunny Thailand is a crafty way to escape unexpected showers. If you choose to celebrate your wedding during Thailand’s green season to avoid the tourist crowds, there is still a chance that you might experience a little rain, but you plan ahead, there are plenty of ways to ensure an extended shower (which is usually the most you ever get on Samui or Phuket outside the monsoon season) doesn’t ruin your big day. Below are some suggestions to help turn a little rain to your advantage. If you were planning on hiring one of Thailand’s luxurious private holiday villas as your wedding venue, then you'll be pleased to learn that during green season you'll find promotions and deals that reduce the overall cost of the event. The best part about this is that even if you are hosting your special day during green season; it's unlikely you'll experience more that an extended shower. Rainfall usually occurs at the same time of day on the Thai islands during particular months, so with the help of a wedding agency like The Signature Weddings with plenty of local knowledge, you can plan your ceremony around the rain. If you were thinking that every photograph in your Thailand wedding album should be framed by a backdrop of a glorious sunshine, then perhaps you should reconsider. 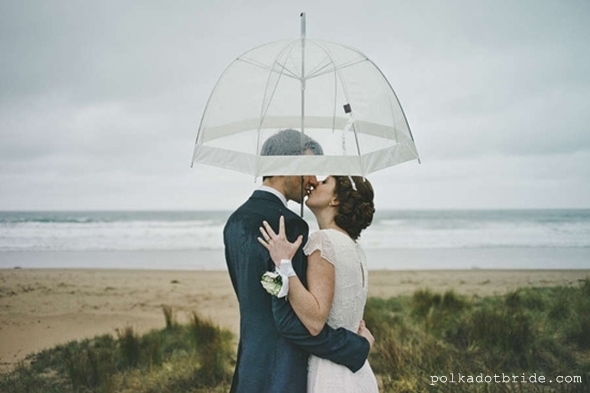 A growing number of brides and grooms are making the most of rainfall and using it to their advantage to capture some spectacular wedding shots. 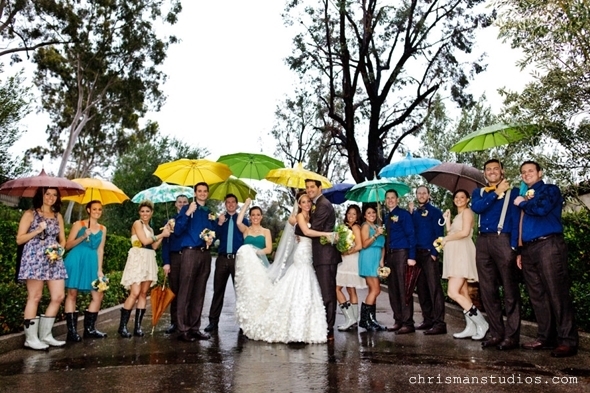 If you want to prepare for a rainy photo shoot, buy a selection of colourful Thai painted parasols to feature in the photos (and maybe a golf umbrella to make sure your hair and makeup doesn’t get ruined), then encourage your bridesmaids and groomsmen to make the most of it. You might find that shooting a few photographs in the rain can be a lot of fun. 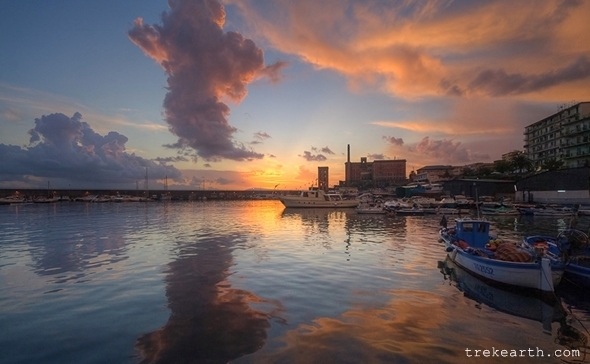 It is a little known fact that tropical sunsets are all the more stunning after heavy rainfall, as the clouds drift across the sky and create a much more dramatic scene. Breaking clouds also have a dramatic effect on the fading sunlight, throwing an even more dazzling display of colours across the sky. What could be more perfect for brides and grooms that have planned a sunset photo shoot on the beach? Hot, sticky weather can be unpleasant – especially when you are dressed to the nines. A light shower is usually all it takes to freshen up the atmosphere and cool things down so you and your guests can feel more comfortable. If you have children on your guest list, a fresh shower during the day will also cool them down and stop them from becoming irritable. 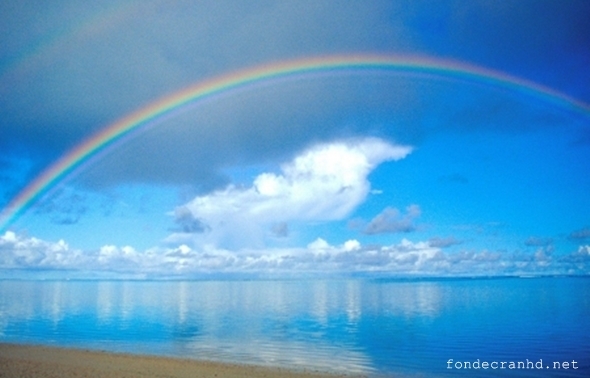 If you’re lucky, you might even get a rainbow. If there is one thing that gets people talking, it’s the weather. When there's rain at a wedding, you can guarantee it will get your guests talking, laughing and joking together as they smile and make the best of it. In fact, a short shower may be one of the best ice breakers you could ask for, so if you do catch those first few drops falling from the sky, there is no need to worry – a little bit of rain will only make things more entertaining for everyone. Plus, it means that you can all head inside for a while and enjoy the plush comfort of your villa’s interior.